Lisle Ryder - THE MASSACRE AT LE PARADIS - HELL IN PARADISE - MAY, 1940. 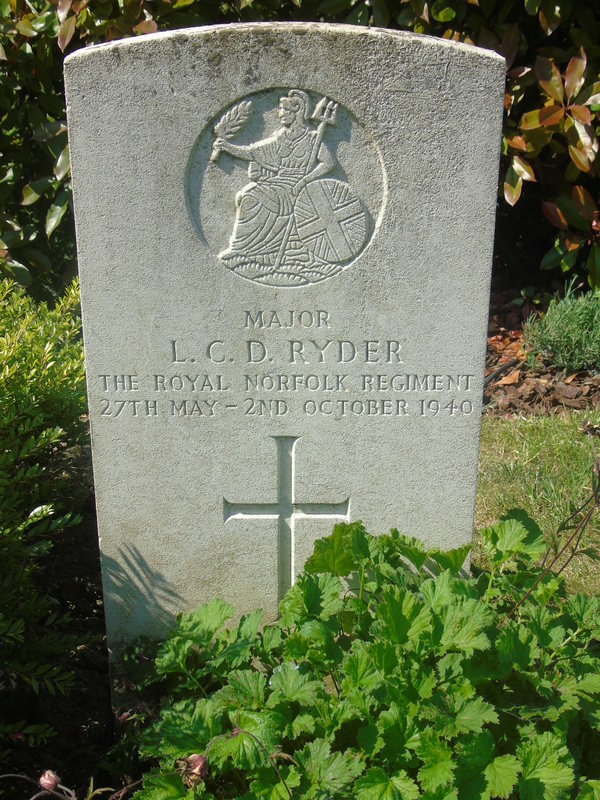 Major Lisle Charles Dudley Ryder is reported as having died between 27th May and 2nd October, 1940. He came from a family who had given distinguished service to Great Britain for centuries. Ryder was born in India in 1902. His father was Colonel Charles Henry Dudley Ryder, CB, CIE, DSO, surveyor general of India and his mother was Ida Josephine Grigg. He was a great grandson of the Right Reverend Henry Ryder, youngest son of Nathaniel Ryder, 1st Baron Harrowby. Lisle was educated at Cheltenham College and Sandhurst Military college and received a commission in the Royal Norfolk Regiment in 1922. From 1927 to 1931 he was employed by the Royal West African Field Force. He served as adjutant from 1932 to 1934 and, in the following year in which he was promoted captain, he was seconded to the British Graham Land expedition to the Antarctic ( 1934 to 1937). He sailed on this expedition as a second mate of the Yacht Penola (A three masted schooner of 130 tons). His younger brother Robert Ryder was captain. By his knowledge of small boats and his considerable skill as a shipwright, he contributed very considerably to the work of the expedition. Not only did he effect major alterations and repairs to the Penola during her long voyage but he always willingly undertook to make in his tiny workshop all those items which were required by members of the expedition. He was one of the most generous minded and good humoured of men. He was promoted to Major in August 1939 on his return from serving with the 1st Battalion in India. Lisle Ryder had five brothers and sisters. His sisters were: Ida Margaret Clare Ryder, Enid Muriel Money Ryder and Violet Constance Ryder. His two younger brothers were Ernle Terrick Dudley Ryder who died in February 1942 after escaping from Singapore, and Robert (RED) Ryder who was a naval officer. On February 22nd, 1938, he married Enid Helen Constance Ralston-Patrick, daughter of Major Robert Ralston-Patrick. Lisle and Enid had one son- Ralston Patrick Dudley Ryder who was born on June 22nd, 1939. Major Ryder's nickname appears to have been "Sailor" which may have been a reference to his brother Robert (see below). "Dear Mrs Ryder. My wife will write to you in detail, but I want to say how sorry I am about Sailor (editor's note: Sailor was Major Ryder's nickname). I was wounded so only just have the facts. It happened in a little farm at Le Paradis near Le Bassee at 17.20 hours, 27th May. HQ's 3 Cps had only 25 men and no ammunition so Sailor decided to surrender. As he stood up he was shot. Sailor was a fine CO and it was only by his unfailing courage and personal example that we were able to hold the enemy for 3 critical days. He was everything a leader should be and we all mourn a good friend and a gallant officer. All our sympathy goes to you. No man could have had a prouder end and those few of us who remain will not forget him." Ralston Ryder is still a regular visitor to remembrance services at Le Paradis, having retired as a successful businessman in New York. Ralston was just under a year of age when his father was murdered at Le Paradis. He is photographed above with Dennis O'Callaghan at the 2017 commemorative service. Robert Ryder: In March 1942, Robert was the naval commander who led the legendary St Nazaire raid code named Operation Chariot. This was a successful operation to destroy the "Normandy Dock" in the German naval base in the town. The stated aim of the operation was to deny large German ships, particularly the German battleship Tirpitz, a base on the Atlantic coast. For his actions during that operation he was one of the five people awarded the Victoria Cross. The citation for his VC reads as follows: "For great gallantry in the attack on St Nazaire. He commanded a force of small un-protected ships in an attack on a heavily defended port and led HMS Campbeltown in under intense fire from short range weapons at point blank range. Though the main object of the expedition had been accomplished in the ramming of Campbeltown into the dry dock gate, he remained on the spot conducting operations, evacuating men from Campbeltown and dealing with strong points and close range weapons while exposed to heavy fire for one hour and sixteen minutes and did not withdraw till it was certain that his ship could be of no use in rescuing any of the Commando Troops who were still ashore. That his Motor Gun Boat, now full of dead and wounded, should have survived and should have been able to withdraw through an intense barrage of close range fire was almost a miracle." 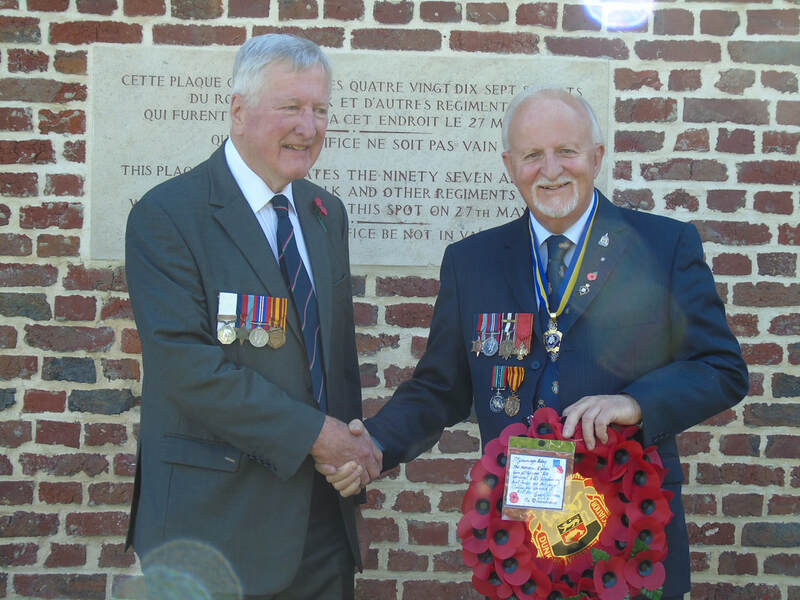 He was also awarded the French Croix de Guerre and Legion D'honneur.